Recently I started listening to Mike Duncan’s podcasts on the History of Rome (2007-2012). It’s interesting that he takes seriously the story of the founding of Rome by Aeneas. Not that he believes it actually happened that way; but he does recount the tale as if it were history. Of course, Duncan observes that we don’t have much of anything except legends to go on for the early history. And it does make a good yarn. I’ve always had a fondness for Aeneas. It dates back to when I took fourth-year Latin in high school. That class—which turned out to be a sort of independent study, since no one else signed up for the course—consisted largely of translating parts of the Aeneid. As it happened, my encounter with the Aeneid was also the occasion for a kind of epiphany. So what makes Aeneas, and his story, so cool? The Aeneid is an epic poem, the Romans’ answer to the Greeks’ Iliad and Odyssey. Unlike the Greek epics, which are attributed to the near-legendary Homer, the Aeneid was composed within recorded history, between 29 and 19 B.C., by Publius Vergilius Maro, generally referred to in English as Vergil or Virgil. The work was seen as celebrating Roman history and its culmination in the Empire of Augustus Caesar, and became a kind of national mythology of Rome. Virgil took the disconnected tales of Aeneas’s wanderings, his vague association with the foundation of Rome and a personage of no fixed characteristics other than a scrupulous pietas, and fashioned the Aeneid into a compelling founding myth or national epic that tied Rome to the legends of Troy, explained the Punic Wars, glorified traditional Roman virtues, and legitimized the Julio-Claudian dynasty as descendants of the founders, heroes, and gods of Rome and Troy. The Aeneid describes how Aeneas and his followers, escaping from the fall of Troy, set out on extended wanderings about the Mediterranean in search of the new home they are destined to find. They stop for a while at Carthage (Rome’s traditional enemy), which is actually where the poem begins. Aeneas tells the story so far to the attentive Queen Dido of Carthage, who is enamored of him. It’s a classic example of starting a story “in medias res” (into the midst of things). When he’s reminded that he has not yet arrived at his destined kingdom, Aeneas reluctantly leaves Dido, who kills herself out of frustrated love. Eventually he arrives in Italy, where his people join forces with the native Latins, sealing the union by the marriage of Aeneas and the princess Lavinia—but first they have to defeat the local Rutuli, to whose king, Turnus, Lavinia had previously been promised. The Aeneid is a story of the underdog—something that always appeals. Rather than seizing on some glorious victor as the founder of Rome, Vergil started with the defeated refugees fleeing from the fall of Troy. It takes some nerve to proclaim yourself the descendant of the losers. But it bespeaks a certain humility that’s refreshing in a national epic. On the other hand, Aeneas is not exactly a common man: he’s the son of the goddess Venus and his human father Anchises. Thus, Aeneas is frequently addressed in the poem as “goddess-born” (nāte deā). Aeneas is in fact a demigod by ancestry—but he’s sympathetically human in character. So he may be from the losing side in the Trojan War, but he’s definitely the Chosen One. The Aeneid is not the tale of an essentially pointless war, like the Iliad, or the monster-ridden journey of the Odyssey. Rather, it has a plot that moves definitely toward an end: a victorious war (redeeming the defeat of Troy, perhaps) that results in a new beginning, the origin of Rome. 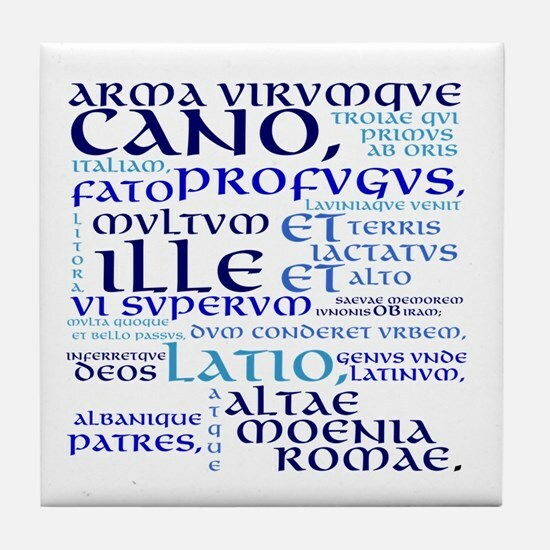 (Wikipedia says rather coyly: “A strong teleology, or drive towards a climax, has been detected in the poem.”) This gives the Aeneid a note of hope and uplift that’s harder to find in the Greek predecessors. I like Aeneas better than most of the heroes of Homer. He makes mistakes; he hesitates at times to step up to his destiny; he has his moments of weakness with Dido; but he’s essentially well-intentioned and honorable. Vergil depicts Aeneas as an exemplar of pietas, a central virtue for the Romans. It’s not quite the same thing as the cognate “piety” in English. The root sense seems to be a kind of filial respect, but read broadly pietas becomes almost equivalent to “justice”—in the equally broad sense often given to “justice” by Plato and Aristotle, where the term encompasses the whole of morality. Aeneas is a “good guy”—and I always have a weakness for the decent person who strives to do the right thing. One wouldn’t be far wrong to think of Aeneas as a potential knight of the Round Table. In fact, the original descriptions of Arthur do make a legendary connection to the family of Aeneas (in the Historia Brittonum). Aeneas is involved in three romances in the course of his voyaging. To begin with, he’s portrayed as loyal to his first wife Creusa. When she’s lost in the flight through burning Troy, he goes back at great risk to find her, but he’s too late. He meets her shade instead, and though he tries to hold her, he can’t. Instead, she foretells he’ll marry another. The poem treats the idyll in Carthage as a weakness in Aeneas, because it distracts him from his destiny: he’s tempted to settle down with Dido and give up all this strife and conflict. But it’s the kind of weakness we moderns rather sympathize with. When he leaves Dido, it’s for an irresistible reason—the call of destiny—and Dido’s heartbreak is portrayed as an overreaction (her dying curse provides a mythical explanation for the traditional enmity between Rome and Carthage). I recently read one of those follow-up stories, Ursula K. LeGuin’s Lavinia. It’s a good story, although it has peculiarly “meta” qualities: LeGuin depicts Lavinia as spending a lot of time chatting with Vergil himself and pondering whether she’s real or fictional. We still don’t get to see as much of Aeneas or their romance as I’d have liked, though LeGuin does depict the hero and their love favorably—a step in the right direction. Translating something into another language can trigger reflections on language itself. In high school, I would have said that plot was more important than character in a story—feeling a bit daring and iconoclastic in taking that position, since in those days the doctrine in English Lit classes was that Character Is Everything. Style, or the handling of language I would have considered a distant third, at best. But I remember going over my English rendition at one point, and not being quite satisfied. The lines were accurate enough; but I wanted something more. The lines didn’t sing. I wanted them to sound better. In fact—I was amused to realize—I wanted them to sound like The Lord of the Rings. It’s an epic, with a heroic sword-and-sorcery setting, right? Of course it should sound like Tolkien! That was the point at which I became aware how much the language matters. You can have a fine plot, you can have wonderful characters, but how that comes through to the reader depends on how you say it. How you tell the story can be as important, in how it affects the reader, as what story you choose to tell. 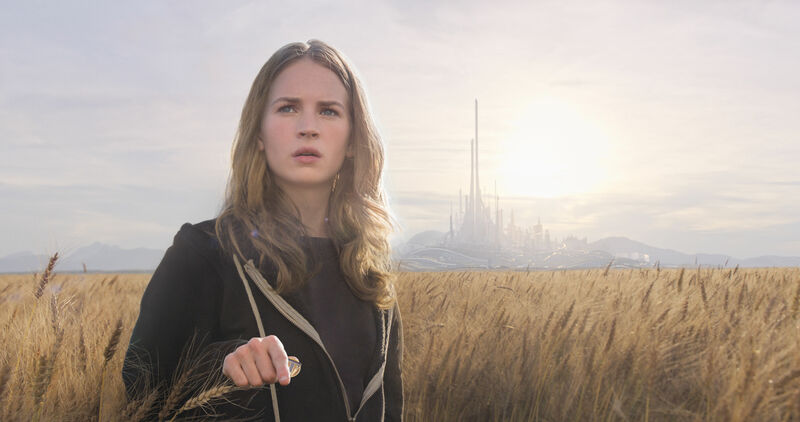 2015’s “Tomorrowland” was not a great success with moviegoing audiences or critics. But it hits on some themes that are vitally important. We can’t discuss those themes without issuing some spoilers, so be warned. The story of “Tomorrowland,” co-written and directed by Brad Bird of Pixar fame, involves Frank Walker, a boy inventor whose earliest appearance is in 1964—played in the present day by a disillusioned George Clooney—and Casey Newton, a teenage girl with a particular genius for making things work. Casey’s dad, a NASA engineer, will shortly lose his job as the agency decommissions a historic launch site. Casey sneaks onto the site at night to sabotage the demolition efforts, which shows where her loyalties lie. We see her in school with a series of morose teachers, each explaining how the world is going to hell in a handbasket: nuclear armageddon, environmental disaster, literary dystopia. Casey frantically waves her hand and is finally allowed to ask the question none of them are addressing: “Can we fix it?” And the bell rings. With this scene, the movie “had me at hello.” For fifty years we’ve listened to doomsayers telling us how things will inevitably grow worse—from every part of the political map. Solutions, however, are harder to come by. In the movie, the same situation turns out to be mirrored in the hidden Tomorrowland. This haven was founded half a century ago with the goal of recruiting bright people to improve the world. In the intervening years, it has focused instead on trying to make people face the approaching disasters. Its futuristic technology beams subliminal messages into our world in an attempt to “raise consciousness” before it’s too late. But like the schools, this secret cabal is no longer proposing ways to “fix it,” only foretelling doom. Of course, alerting people to potential disasters is not a bad thing. Motivating by fear is certainly one way to arouse people to action. 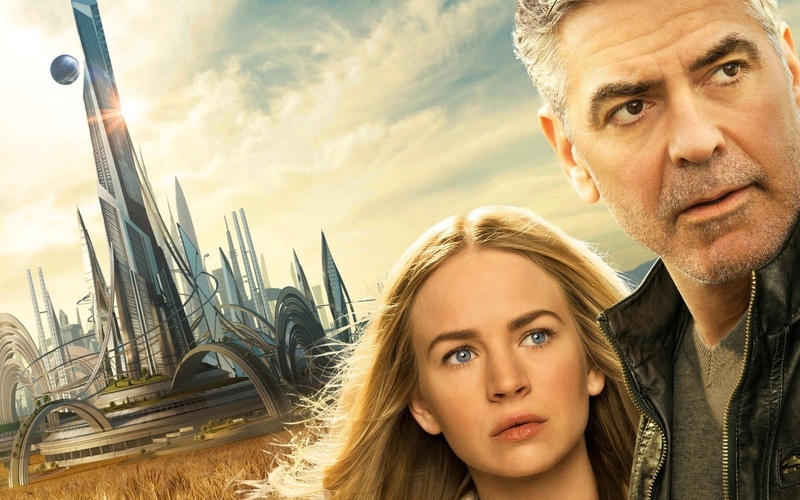 But what Tomorrowland, like the schoolteachers in the opening scenes, has forgotten is that dread, without hope for solutions, doesn’t lead to fruitful changes. It leads to stagnant despair. In the end, Casey and Frank halt the doomsaying broadcast, and begin again to recruit “dreamers.” “Dreamers” here doesn’t mean believing things are just fine. That would be blind optimism. Rather, it means believing better things are possible. If you’re a “fixer”—a builder, a maker—this leads to asking how things can be made better; which leads to plans for change, not just empty wishes. In other words: the conviction that catastrophe is inevitable is a self-fulfilling prophecy. Expect the worst (admitting no other possibilities), and you’ll get it. As soon as Aldonza begins to believe she can be better than that, she is brutally disillusioned. 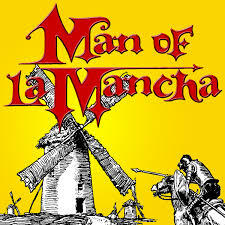 Yet Quixote stands by his conviction that she’s really a noble lady, in the face of all contrary evidence. At the end of the play (7:42 in the clip), she finally accepts that role: “My name . . . is Dulcinea.” She takes on the quest of becoming more than she is. In other words: expecting the best calls it forth. This encouraging principle doesn’t always work out nicely, as the play makes devastatingly clear. If we seek out the best in people, we’d better be prepared for a letdown sometimes. But the principle does shape our thinking in the right direction—a productive direction, rather than a dead end. The two matched stories remind us that some degree of faith in the future, for a person or for a society, is needed if we want to foster energetic action. It’s therefore incumbent on us not to crush such fertile hopes. We should never blind ourselves to the facts, but that doesn’t mean we should be satisfied with them. We’ve seen that the Arthuriad has generated a wide variety of retellings over the years. What makes these legends so adaptable, and so congenial to storytellers of all kinds? A few reasons leap out at us. As we’ve seen before, it helps if there’s no one canonical version of a story. Without a single clear source, later authors are free from the need to conform to the “classic” tale. The Wikipedia article says outright, “there is no one canonical version” (¶ 3). It’s true that Malory’s Le Morte d’Arthur is the central reference point, at least in English. But his version is so far from current norms that it would be hard to try and reproduce it faithfully—as Steinbeck perhaps found. Malory serves more as a library or resource for story elements that can be adapted and recombined at will. The story also occupies a colorful historical setting, whether in the plate-mail-and-castles “high road” approach, or in the more historically plausible “low road” approach. 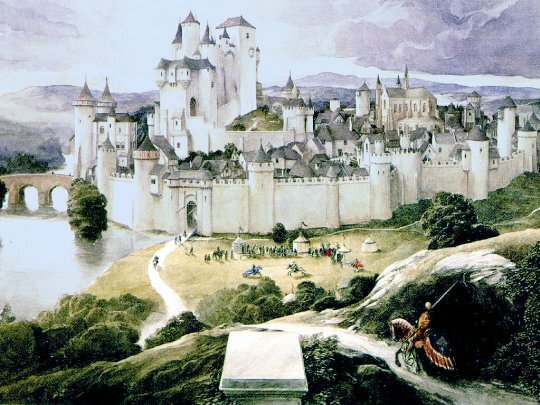 Many readers have a fondness for this quasi-medieval environment—which is why versions of that milieu are used in so many fantasy stories and games. In particular, the Arthuriad is filled with strong and interesting characters. An author can focus on, say, the character of Percival, or Morgan le Fay, or Gawain, and take off from there. Or she can ring the changes on the main story by redefining the characters and their relationships, as we saw in the examples from Part I. Other characters are equally mutable. Mordred is subtle and evil in White; he’s an innocent and rather likable kid in Wolf. Lancelot contains enough contradictions in himself—loyal friend, betrayer of a marriage, devoted lover, peerless warrior—that an intense character study of this champion is almost unavoidable if we let him into the story at all. Guinevere is a particularly tricky case. It’s hard to play her as truly admirable—since so much of her traditional role lies in being untrue, at least after a fashion. (She’s untrue to Arthur, but true to Lancelot, and the story seems largely willing to forgive the first in light of the second.) If she isn’t handled carefully, she’s likely to default into being silly, or weak, or fickle. The challenge of giving her a better role may appeal to an author. Both books and films have taken up that challenge, though I’m not familiar with those treatments. His origin. It seems essential for Arthur’s ascent to the throne to exemplify the theme of the lowly raised high, the rise from humble beginnings to glory. His childhood is modest, in one way or another. In the traditional formulation, Arthur doesn’t know who he is until he is almost grown, and it may take a magic token (the sword in the stone) to demonstrate his true nature. As a result, Arthur generally has the humility that I’ve argued characterizes our archetype of the Good King. This Cinderella-type story appeals to our fondness for the underdog, and the reversal of fortunes is inherently dramatic. There are a lot of possibilities for how that revelation occurs, and how Arthur and those around him react. The love stories. An eternal triangle necessarily involves passion, betrayal, and drama. But there are a lot of possible ways to construe the relations among Arthur, Guinevere, and Lancelot (along with Morgan and other possible players, as we saw last time). 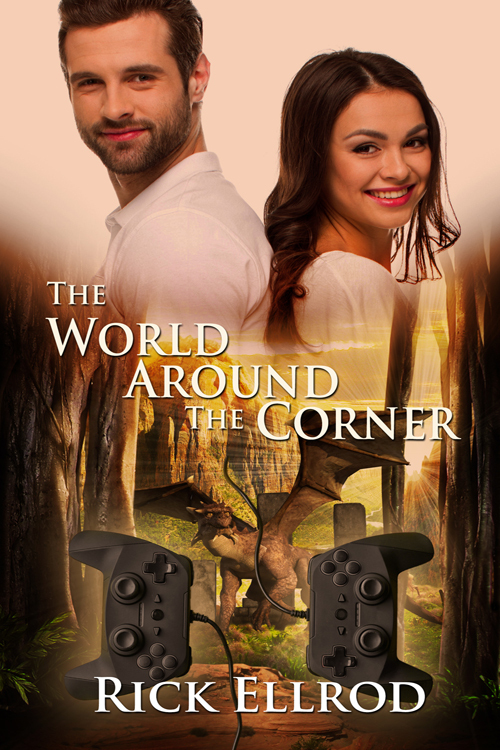 Since Arthur is on the scene first, Lancelot must share some strong bond with Guinevere in order to draw her away from Arthur—unless the Arthur-Guinevere bond isn’t that strong to begin with, as in Wolf. If we idealize Lancelot and Guinevere’s romance, we have to push Arthur away. There’s a strong impulse to rescue the love story somehow. We have three characters, each of whom we love and admire, trapped in this untenable situation. We don’t want any of them to lose out, but someone has to. So we get retellings that pare down the triangle. In The Road to Avalon, Arthur and Morgan are the real romance; it doesn’t matter if Guinevere seeks solace elsewhere (except for political reasons). In “First Knight,” Arthur is too old for Guinevere; after his inevitable death, Lancelot and Guinevere seem to be left free to marry. “King Arthur” ends early, in terms of the overall myth, and skips the entire triangular problem. Arthur and Guinevere marry at the end in a traditional romantic consummation, and Lancelot remains a minor character. Moreover, if we choose as our main character someone other than the Big Three—one of the numerous other knights or ladies of the Arthurian court—the possibilities for love stories are endless. The Holy Grail. It’s hard to know what to make of the Holy Grail as a storytelling hub. 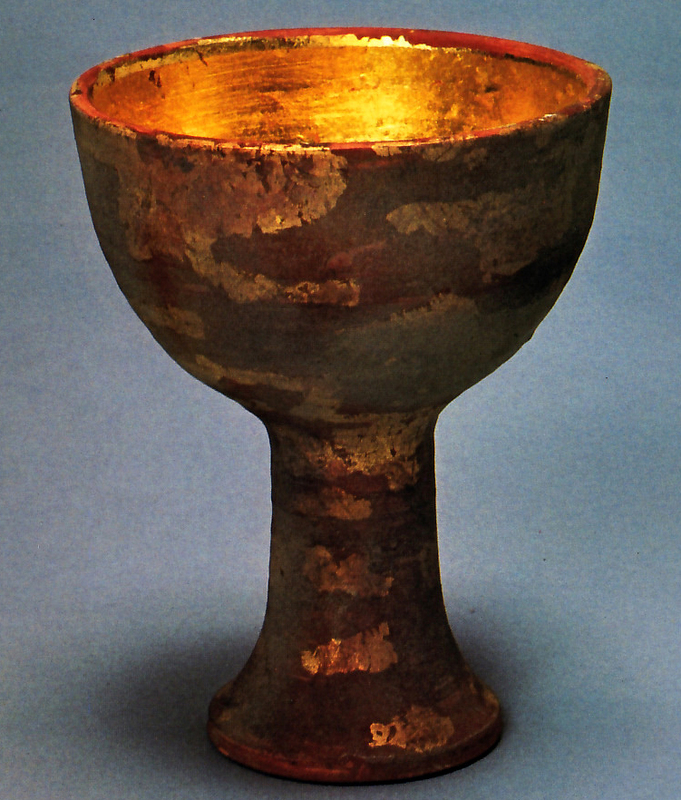 The Grail’s religious origins (although they are subject to dispute by some literary historians) may cause this part of the story to be bypassed entirely by those writers who prefer to dodge the Christian aspects of the Arthuriad. White introduces the Grail quest rather ignobly as a distraction to keep the knights busy when there are no wars for them to fight. Nonetheless, the mythic resonances of this ultimate quest MacGuffin have let it play a role in a surprising number of modern treatments—from “Monty Python and the Holy Grail” to “Indiana Jones and the Last Crusade”—even where, as in the last example, the Arthurian tales are not otherwise involved. For those who want an air of mystery and the numinous, rather than just clashing swords, the Grail is a natural choice. Finally, the Arthuriad carries a number of themes of lasting interest. These themes can also draw storytellers to the court of Camelot. True companions. For Western culture, Arthur’s Round Table knights may be the archetypal example of the tight-knit group of comrades fighting together for the right. The basic story also includes some inversions of this band-of-brothers relationship—betrayals of several kinds—but that only serves to make the ideal seem more dramatic and memorable. 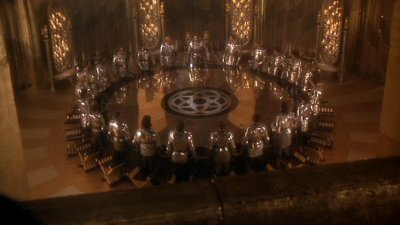 The Round Table is explicitly portrayed in “First Knight” and (without the table) in “King Arthur.” It’s satirized, yet mourned, in White. It does not play a major role in Wolf’s version. But if an author wants to invoke the ideal of comradeship to the death, Arthur’s court is as likely a touchstone as the Three Musketeers or Robin Hood’s woodland band. Chivalry. The Arthurian knights represent the archetype of the ideal of chivalry. Now, our era has a love-hate relationship with this notion. We frequently prefer to satirize or criticize the ideals that were held up as models for the Arthurian knights. 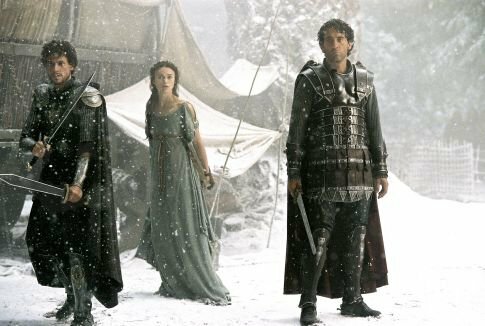 Yet there remains a certain appeal to what TV Tropes calls Old-School Chivalry, a less literal version that can turn up in cases as varied as Captain America and “Kate and Leopold.” These later varieties look back to the hazy memory of a medieval ideal that we associate with Arthur’s court. Civilization is at stake. Almost all versions of the tale depict Arthur as standing in some sense for the defense of imperiled civilization against the chaotic forces that threaten it. The opposition may be literal, as in The Road to Avalon, where Arthur leads armies against the invading Saxons. Or it may be more subtle, as when The Once and Future King shows Arthur striving to achieve the rule of law as a principle to contain the depredations of warlords. Not Might makes Right, but Right makes Might, protecting the weak from the strong, ordinary people from the powerful: this is the chivalric ideal Arthur pursues under the tutelage of Merlyn. The most poignant aspect of the Arthurian tale is that he achieves this ideal, for a fleeting moment—an island of light in an age of darkness—yet it fails. The Round Table is broken, Camelot goes down in war and betrayal, Arthur does not found a virtuous dynasty. This chiaroscuro of success and failure has a dramatic appeal that is hard for a storyteller to resist. Camelot falls. And yet, the story does not quite end in despair. Arthur may die—but he is not entirely lost; he will somehow return. In White’s touching ending, Arthur hands on the story itself, the memory of Camelot, to a young page named Tom—Tom Malory. The ideal remains an ideal, and we are reassured that someday Arthur and the ideals he champions will reawaken. It is no wonder that this kind of ambiguous, yet hopeful, ending attracts storytellers. It attracts readers too. All but the most hardened cynics would like to look forward to such a return. Arthur’s story, like Arthur himself, never quite dies.